Shirt by GANT with 1/2-length sleeves. 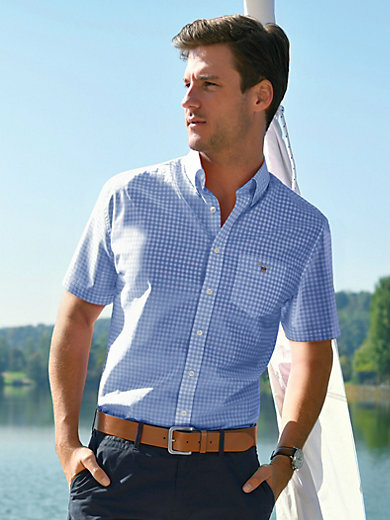 Summery, top-quality material with woven checks in a trendy colour. Button-down collar and logo embroidery at the front. 100% cotton. Comfortable “Regular Fit”. Waist in size 41/42 approx. 116cm/46ins. The shirt is machine washable.